Depending on what kind of business you have, you might need some software that is different from what I use, but for creatives and other small businesses that have many projects and tasks this type of software has saved me a LOT. I currently use Project Bubble for managing all the projects I’m working on and it doubles as my invoicing system as well. Tasks and subtasks: I can easily add tasks and sub-tasks to the project and assign users to each of the tasks. Tasks can have files attached to them, comments, descriptions and notes. Each task has a timer button so I can start the timer when I start working on something and then stop the timer when I am done; I can also add a note as to what I was doing each time I stop the timer. I can easily see the progress of a task and see the difference between estimated hours and actual hours spent getting the work done. Easy invoice Generation: when I complete a task or several tasks, I can choose to generate an invoice and the details from each task will be made into a line item in the invoice with the total hours and price per hour automatically calculated. From there, I can email the invoice to the client and they can pay instantly via PayPal or print the invoice and mail me a cheque. If the client pays via PayPal, the invoice is automatically marked as paid in Project Bubble. Easily exportable information for your accountant. What used to take several additional hours per project to keep track of time, information, and invoices can now take less than an hour in total and it’s helped me be WAY more organized than I used to be. Also, if I needed to give the client a summary of the work that I did and how long each part took me (when working on tasks over several days) I can show them a detailed report of each of the times that I started the timer and stopped the timer. 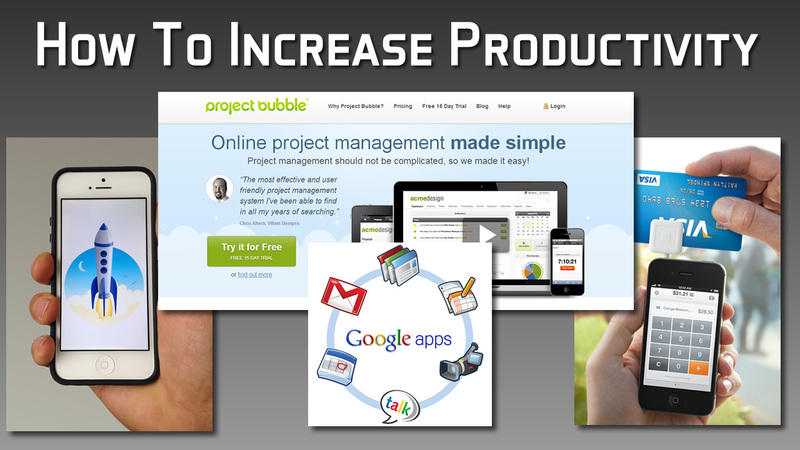 Do a bit of looking for project management software that will work best for your company. 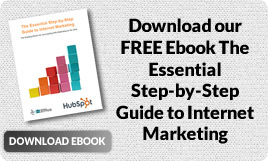 It will save you a lot of time (and money). Do you currently take credit cards? If you do, you know that the companies that are processing the transactions for you continually have their hands in your pockets. The machine rental fees, transaction fees, credit card company fees, and other hidden costs really add up! 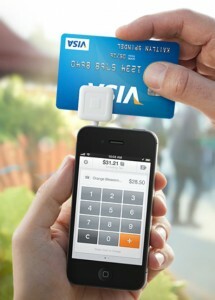 For processing credit card transactions, I use Square. Why? Because it’s 2.75% per swipe, no additional fees, and next day deposits. All you need is a smart phone….which you should have as a small business owner anyways, but I’ll get to that later in this post. If I know that the client will be paying with a credit card on site when I’m there (ie for a photography session or something), then I just add an additional 2.75% to my price to cover the additional fees. For any successful small business, having a domain name, website, and email is a must. Of course, I’m saying that because I’m a web designer and I’m biased but I have not come across a business owner that wanted to be successful that didn’t need a website. That being said, it is totally worth the money to connect your domain name to Google Apps and have them host your email with their Gmail platform. You’ll have access to world class tools for email, contacts, calendar, cloud storage, and other collaboration tools at a steal of a price compared to what you’d pay to get those features anywhere else. I think I’ll eventually write an entire blog post about why you should use Google Apps for your business, but for now I’ll just say that it will be a VERY reliable and helpful system to use. 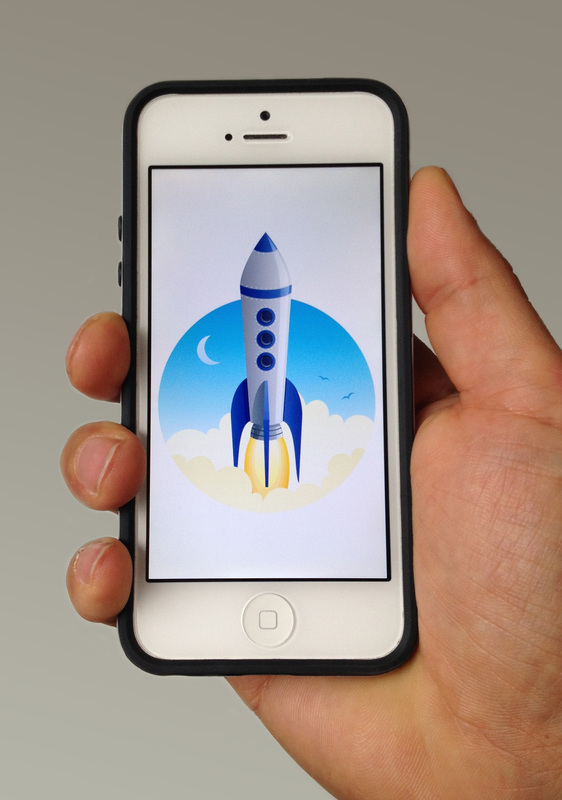 If you are a small business owner, you’ll be more successful with a smart phone. It would be very hard to prove me wrong on that. Get a smart phone and learn to use it to it’s full potential. 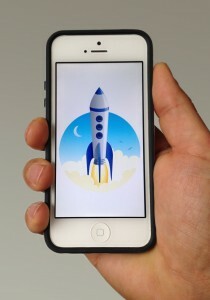 Watch for an upcoming blog post that will outline several apps to install on your smart phone that will add “rocket fuel” to your productivity.